New unused in original shipping box ..
Standard 1/2" mount Shure cartridge with Shure StylusFunctionally of cartridge and stylus are unknow.. Original Dual Turntable Part made In Germany ..
Used power cord including ground wire ..
Vintage JVC Headshell with cartridge no stylus included .. Single scratch on face of knob ..
Vintage Pioneer Headshell with cartridge and stylus ..
Vintage Pioneer headshell with Shure M70EJ Cartridge and 70EJ stylus. 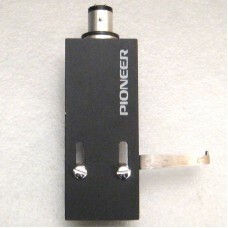 This is a used item and is sol..
Vintage Pioneer Headshell with Shure cartridge Does not have stylus. 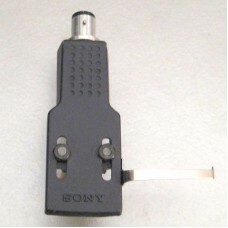 Functionally of cartridge is un..
Used cartridge and stylus with realistic adapter for 1/2" mount .. Both channels tested according to spec on this used cart ..